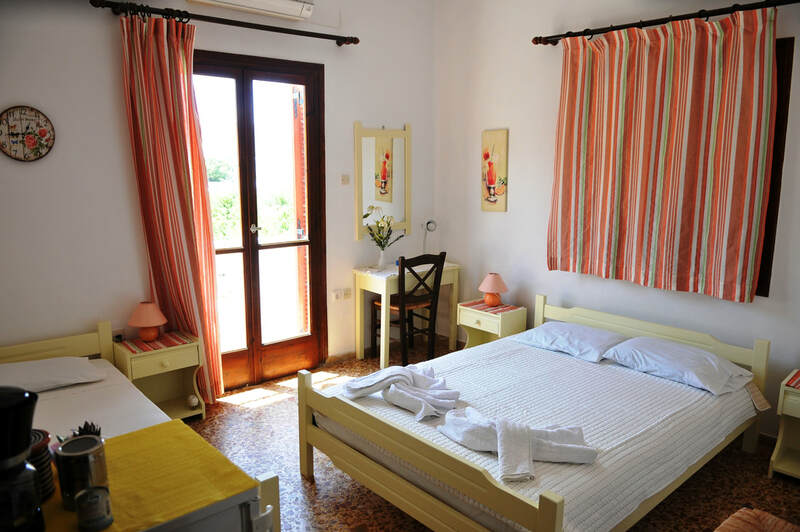 Rooms at Anna Spanou Pension are simply furnished with some traditional details and all are equipped with TV, air-conditioning and a refrigerator. All have their own spacious private bathrooms with shower. Each has a balcony with views across the town of Parikia, Paros. From the roof terrace the pension enjoys a panoramic view over the twisting whitewashed streets of the old town, to the sea. All rooms are cleaned daily. ​Enjoy simple holiday accommodation and take advantage of our seasonal promotions for budget travel to Paros. • Yard where you can enjoy your coffee or tea. • Parking space at 20m. • Next door Greek restaurant, for lunch & dinner. • Nearest beach at about 500m. Room with a double bed, TV, air-condition, fridge, shower bathroom and balcony with view to the neighborhood. A small, cute and private room, as it's the only one located at the rooftop of the building – with (almost) exclusive use of the terrace. Offers double bed, TV, air-condition, fridge, small shower bathroom and ample view over the town out to the Aegean Sea. Offers double and/or single beds, TV, air-condition, fridge, shower bathroom and balcony with view to the neighborhood. Our most spacious room with 4 single beds; TV, air-condition, fridge, shower bathroom and 2 balconies with view to the neighborhood and the yard.